Style #: PC78ZH Crafted for comfort this lighter weight sweatshirt is perfect for relaxing and it's a real value. 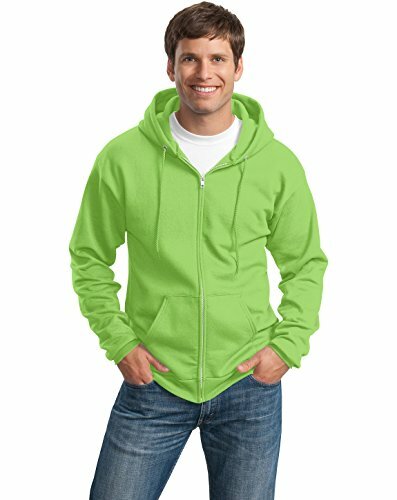 7.8-ounce 50/50 cotton/poly fleece Air jet yarn for a soft pill-resistant finish Two-ply hood Dyed-to-match drawcord Set-in sleeves Front pouch pocket YKK metal zipper Rib knit cuffs and waistbandCoverseamed neck arm seams and waistband Due to the nature of 50/50 cotton/polyester neon fabrics special care must be taken throughout the printing process. If you have any questions about this product by Port & Company, contact us by completing and submitting the form below. If you are looking for a specif part number, please include it with your message.